Where you do business is more than a workspace. It is a reflection of your brand and establishes your organization’s professional persona. When it’s time to revitalize the appearance of your office, turn to Halpin’s Flooring America. We are your source for commercial flooring in Prairieville, LA. By adopting a comprehensive approach to flooring solutions, we can help you improve the appearance, strength, and overall ambiance of your place of business. Count on our showroom to meet your remodeling needs. Get flooring that is as unique as your organization. At our full-service flooring showroom, we provide the resources and materials you need to make smart choices for your property. Our experienced staff can arrange a consultation, where we can discuss your ideas and draft a project plan that meets your needs. Also, we can coordinate with trusted contractors to complete your commercial flooring installation. Simply put, we mean it when we are with you at every stage of your project. Carpet Tiles: Establish a comforting atmosphere. Carpet tiles add style and comfort to any space, making it a great addition to meeting rooms or any area that must impart a welcoming ambiance. Our selection has items in different colors, textures, and sizes. Vinyl Composition Tiles: Vinyl is a resilient, water-resistant flooring surface that is simple to clean and maintain. Our vinyl composition tiles are available in different shapes and sizes, ensuring you attain the proper aesthetic for your office or work area. Cork Flooring: With its soft texture and natural appearance, cork flooring can establish a unique aesthetic to your office. This environmentally friendly flooring material also resists allergens and microbes--great characteristics if health and safety are your priorities. When it’s time to turn those interior remodeling ideas into a reality, come to us. Our showroom facilitates commercial flooring installation services. Our well-trained and experienced team will measure, cut, and place your new flooring quickly and according to schedule. In turn, you will establish a new appearance for your place of business while minimizing downtime. It’s the seamless approach to business remodeling. 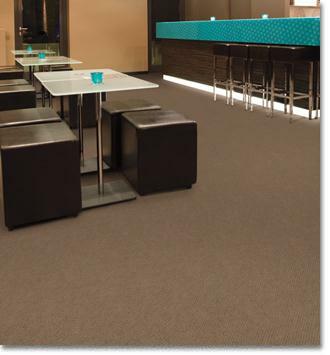 Contact us to request a consultation for commercial flooring. Our showroom proudly serves organizations in Prairieville, LA, including Baton Rouge and the surrounding areas.